Technology’s major goal has always been to simplify our everyday lives and the rise of ride-sharing apps is a testament to that fact. We now live in a world where Uber and Lyft have become an integral part of transportation for millions of individuals across the United States. It is safe to assume that one in every ten vehicles driving on California roads is either a Lyft, an Uber, or both. With the rise of ridesharing, the chances of being involved in a rideshare accident are very high. 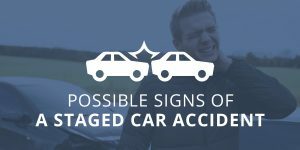 The resulting damages and injuries following any of these accidents are often very serious and sometimes even fatal. If you or a loved one has been involved in an accident that was caused by the negligence of either a Lyft or an Uber driver, then this page will guide you through all you need to know to get the compensation you deserve. What Makes An Uber or Lyft Accident Different in California? Ridesharing is relatively new, so laws and regulations may evolve with time. With so many accidents involving companies like Lyft and Uber, several states across the country, including California, have put certain laws in place to ensure victims get properly compensated. There are several reasons why ridesharing accidents are quite different from any other kind of accident. One of the most prevalent being that these ridesharing apps are not a transportation company; instead, they are simply a platform that connects independent drivers (contractors) with people looking for rides (passengers). As a result, these companies were able to operate without insurance or many strict regulations in their early days. Nevertheless, after several mishaps and accidents, many reforms have been made. These companies now have policies in place and require their drivers to carry certain forms of insurance. Who Is Liable in a California Uber or Lyft Accident? Unless you were responsible for the accident, the liability falls on either the ridesharing company or the driver. Contrary to what you may believe, liability does not automatically fall on the ridesharing company after an accident. Instead, it largely depends on whether the driver was logged into the rideshare app at the time of the accident or not. Therefore, the driver is fully liable for the accident if he or she was not logged into the ridesharing app at the time of the accident. However, if the driver was logged into the rideshare app but has not accepted a ride yet, the rideshare company would only assume a part of the liability. Finally, if the driver was logged into the rideshare app and either has a passenger in the car or is on the way to pick up a passenger, then both Uber and Lyft claim full liability. Speaking with an experienced Uber or Lyft attorney who is familiar with ridesharing laws in the state of California will help you quickly determine who is held liable for your accident and the subsequent settlement that comes with it. As previously discussed, there are two possible outcomes for liability; either the Uber or Lyft driver or the company itself will be held responsible. However, after determining liability, you need to understand how the insurance policies of these ridesharing companies work and what to expect when trying to receive a settlement from them. Level 1: Not logged into the rideshare app: When a driver gets involved in an accident while he or she was not logged into the rideshare app, the driver carries full responsibility and his or her insurance policy will have to cover damages and compensation. The good news is that in California, rideshare drivers are required to have personal insurance policies and uninsured motorist coverage that amounts to at least $50,000 per person and $100,000 for each accident. Level 2: Logged into the rideshare app but waiting for a passenger request: If the accident occurred while the driver was logged into the app but still waiting for a passenger request, then the rideshare company will accept partial liability. Both Lyft and Uber have policies of about $50,000 for injuries and $25,000 for property damage and they will only pay the amount that the independent contractor’s insurance does not cover. Level 3: Logged into the app and either with a passenger or en route to pick one up: When an accident occurs when the driver was on active duty, the rideshare company assumes full liability. Both Lyft and Uber provide $1million in liability coverage and another $1million in uninsured/underinsured motorist coverage. As you can see, getting into an accident with a rideshare company driver can be quite tricky, especially when it comes to deciding who to approach for compensation. 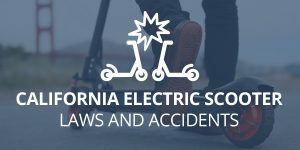 This is why it is very important to secure the services of a California Lyft and Uber attorney immediately after the accident. An experienced lawyer knows all the rideshare laws as they apply to the state of California and will work to get you the compensation you deserve. What Compensation Is Available in a California Uber or Lyft Accident Case? It does not matter whether you are a pedestrian, motorcyclist or simply driving in your own car, once you are involved in an accident with any of these ridesharing app companies, the compensation is pretty much the same. The difference in the compensation payout largely depends on which insurance coverage level the accident falls under (see above). Therefore, if the accident falls under level 1, you should understand that you can hold neither Uber nor Lyft liable, and the driver will have to bear full responsibility. 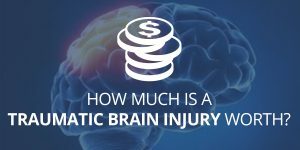 Compensation is limited to $50,000 per individual and a $100,000 per accident. However, if the accident falls to level 2, then both Uber and Lyft will claim a limited responsibility along with the driver’s personal insurance. Insurers from both sides offer up to $50,000 in liability coverage per individual and $100,000 per accident. This liability further covers up to $30,000 in property damage, not to mention that the law makes it mandatory for rideshare companies to carry $200,000 in excess liability coverage under level 2 just in case the injuries are significant. Finally, if the accident falls under level 3 then both Lyft and Uber carry full responsibility and will be held liable for any injuries and property damage sustained. The insurance coverage under this level is up to $1million in liability coverage as well as $1million in uninsured or underinsured motorist injury. That means you can expect up to $1million in compensation per accident. Note: You are not limited to accepting what these insurance companies are offering in compensation if you feel you deserve more. Actually, nothing stops you from pursuing claims against the driver’s personal insurance policy as well as the ridesharing company’s. While Uber and Lyft are the most popular ridesharing companies in the market, it does not mean they are the only ones. Others like Turo, Sidecar, and Maven are also growing in popularity which means the chances of being involved in an accident with any of these services are also very likely. Although these services are similar to both Uber and Lyft, the difference is that people actually rent out their personal vehicles online instead of driving people around. The insurance coverage they also offer is quite similar to both Uber and Lyft. Under California law, all drivers are required to carry insurance of at least $50,000 per individual and $100,000. However, unlike Lyft and Uber, when you get involved in an accident with Turo etc., the person who rented the car will be fully liable and their personal insurance will kick in. If you or a loved one has been injured in an Uber or Lyft related accident please contact us today for a free consultation. We offer no-strings-attached consultation that will help you make informed decisions regarding your case and the necessary steps to take to receive just compensation for your injuries.